Today I'm reflecting back on the months (that felt like years) when my sweet Savannah was dealing with Eczema. Any one that has eczema or kids with eczema will understand how hard it is to deal with flare ups and doctor visits -- it just seems never ending. I believe it was around 5 months or so -- we noticed that Savannah's hair started to fall out & we initially thought that it was just cradle cap. Well after many doctor visits and dermatology visits we were left with 0 responses that didn't actually help. The doctors just continued to push steroid creams and other medicated creams which would help her eczema for a moment but not for long term. Savannah would scratch her skin helpless until that it would bleed and I would just pray to God that she would overcome the flare ups and what not. Then our youngest was born & her eczema was in the center of her head and also in on her legs/arms as well. Her eczema is a bit more controlled than Savannah's was. Now at the age of 2, Savannah's skin has 80% grown out of the eczema and her hair is SO LONG. It's really unbelievable how long her hair is. If you're a mom of a child with eczema I just want you to know that it won't last forever but you also must keep doing trial and error to control it. 1. TRY to bathe atleast 2-3x a week I know what you're thinking that you baby is dirty and needs to be cleaned. So much water on their little skin just consistently dries it out then you're back to square 1 looking for ways to moisturize. 2. Find a solution for YOUR CHILD yes the doctor will suggest so many creams and whatnot but do your own research find out what works & doesn't. Try natural remedies as well I would suggest Aloe Plant leaves from Whole Foods there's so many great benefits from Aloe that you may end up using it too lol! 3. PATIENCE good things take time and eczema will not disappear over night. Be patient mama! I've been on & off with this blogging thing but I do have a solid blog lol! You can search back to months, years ago and find out about my life after college and watch the transition to a wife & now mom. Being a mom is hard. Being an adult is hard. What's even harder is constantly getting told "Well I'm saying this out of love" "This is how you should raise your kids". A little background -- I am the youngest of 5 from a small town in Louisiana. I completely get it that my siblings and parents still few me as the baby. I now have 2 kids of my own that my family loves to no end BUT that doesn't stop them from voicing their opinions about raising my kids. When I first got a crap ton of unwanted opinions I took it so hard -- questioning if I am raising my kids properly, if I am being the best mom I can be, what can I do differently? Then I took a step back & realized that I AM THEIR MOM. Our girls look to ME and their DAD as role models -- we're setting examples for them DAILY. And you know what? Recently one of my friends was like "I didn't know Savannah knew so many words & I love how engaged she is in the conversation. You're doing a great job!" BOOM. All the blah-blah nonsense of unwanted opinions goes out the door. What I've noticed recently is that so many times as moms, friends, daughters, wives, HUMANS we are so quick to throw all of our issues onto the next person. Today I challenge you to speak positivity into someone's life -- compliment them on the way they styled their hair, their clothes, etc. You truly never know what someone is battling and just being able to check in with them speaks volumes into their life. For so many years, I can admit that I was very selfish and even ruined many friendships -- what I've learned from my kids is that you only get ONE shot at this thing called life. My kids have taught me have to be selfish-less -- more positive less negative. Boost them up. Congratulate them. Say I Love You. I think many times I hold back on my blog, afraid that one of my family members will see it & immediately think I'm talking about them. But my blog resonates with anyone that has a heart. 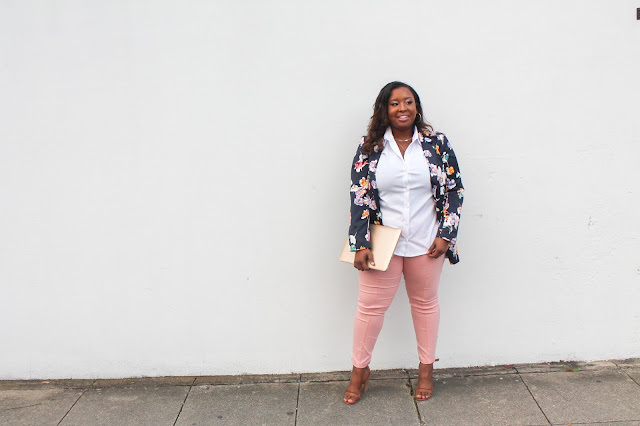 So from this blog going forward I will definitely try to keep it all the way 200 with yall! Did you know that I am pursuing my business full-time? I am currently working full time for T Major Design -- where I focus on creating digital designs and social media strategies for businesses, brands and also real estate agent. So you may be wondering what does this have to do with The Mommy Plug? 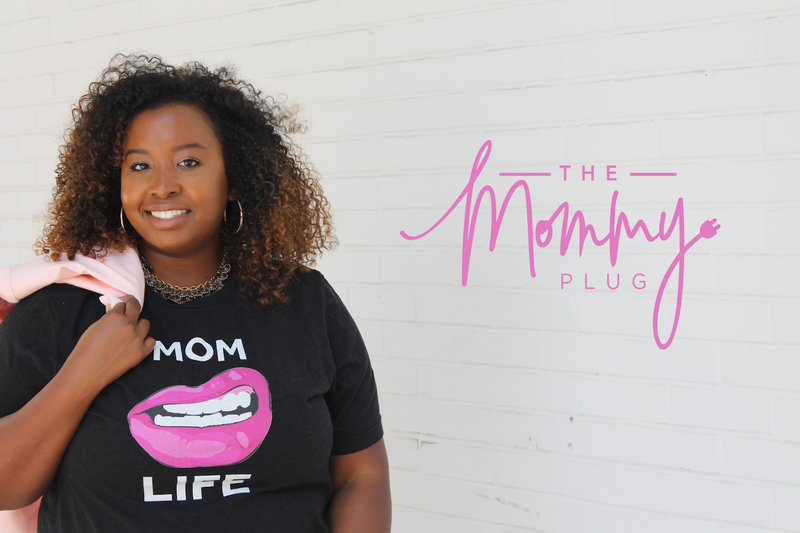 When coming up with a new name and branding for The Mommy Plug -- I wanted to focus on not just my life and career but also telling you about the latest technology and social media news. Just a quick definition of algorithm: a set of rules to be followed in calculations or other problem solving operations. In other words, it's the recipe for Instagram -- I'm such a nerd when it comes to numbers and coding because of my educational background in Information Systems. I love reading about the new features and codes that Instagram pushes out. 1. Visibility: The MAIN goal for everyone on Instagram is to get to those 10K followers to enable the "SWIPE UP" feature. So in order to get there you must remain visible. How can you do this? The first thing to remain visible would be to start by creating QUALITY content. The second would be to USE HASHTAGS -- hashtags allow accounts that aren't following you to see your content. 2. Engagement: Okay now that you're visible -- what's next? Sit and watch the likes and comments notification? Nope. You need to ENGAGE. You can engage by replying to comments and also commenting on other accounts. This will get your page out there and allow people to see your personality shine! 3. Consistency: Now that you're visible and engaged -- what's next?! Remain consistent. Don't just post and ghost -- you'll plan for content atleast 2x a day during the week and focus on IG story all 7 days of the week. You'll see so much growth and engagement when you're consistent.